Manufacturers and product designers developing wireless devices for complex IoT ecosystems operating on the Sigfox network must meet Sigfox certification standards. Sigfox Ready™ certification ensures devices will function properly on the Sigfox network. As an Accredited Test Lab (ATL) for Sigfox, we are equipped to test your devices to meet the full scope of Sigfox requirements as well as prepare all necessary documents. Our comprehensive Sigfox testing and certification services ensure the optimal performance of your wireless devices operating on the Sigfox network. Make sure your wireless products are able to operate efficiently and reliably throughout the Sigfox network! Utilize our accredited testing services to achieve Sigfox certification. Our one-stop-shop solution provides quick and comprehensive services from pre-testing during product development as well as end-product testing. We support you in Sigfox certification plus regulatory mandates for entry into global markets. Sigfox certification aims to ensure the best operating performance of IoT devices on the Sigfox network. Any connected device operating on the Sigfox network must pass certification granted directly by Sigfox. As an ATL for Sigfox, we provide comprehensive services for Sigfox Ready™ certification. 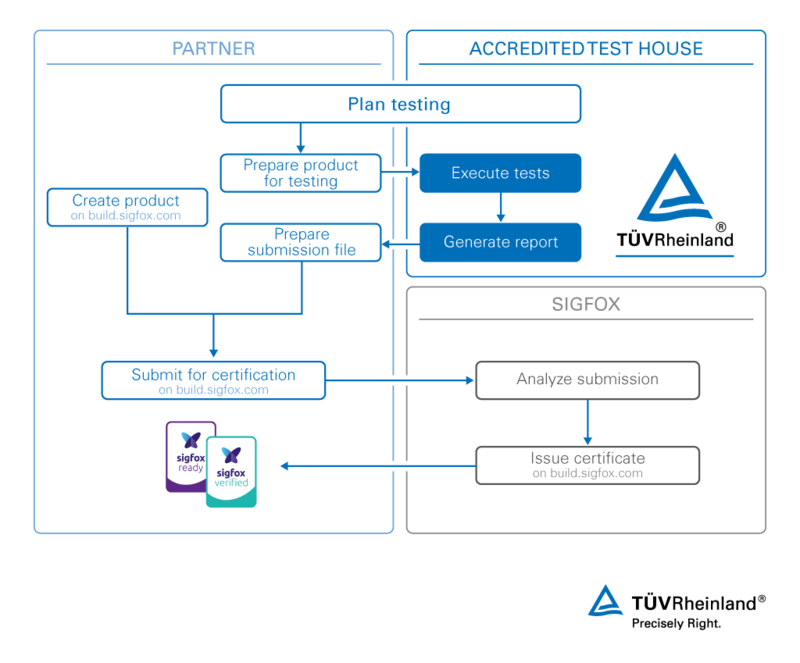 We conduct product testing according to Sigfox standards and provide you with the documentation necessary to achieve certification. Reference the Sigfox handbook for more information on the Sigfox certification process. Our global network of experts works closely with Sigfox to stay current on new test certification processes and specifications. We are an Authorized testing facility by Sigfox to perform pre-testing and certification testing for the Sigfox Ready™ distinction. We are actively involved with Sigfox on developing new requirements as well as in their proof of concept process. We test a variety of IoT product lines including automotive, smart city, wearables and electronic devices used in many other applications. We draw upon both extensive knowledge and experience with our comprehensive test solutions. Our network of experts is on hand to support the full scope of Sigfox testing services anywhere in the world. Contact us today for pretesting or Final Sigfox testing and certification services!